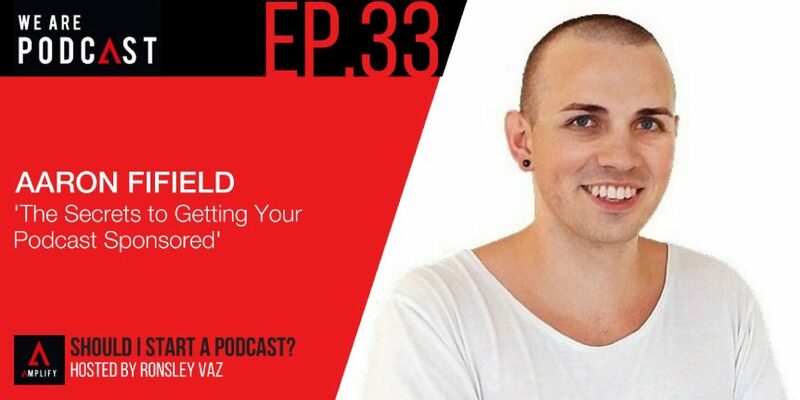 Aaron Fifield is a developing trader and host of the Chat With Traders podcast. Each week he interviews successful traders and financial thought-leaders to extract their best insights. On the trading front, Aaron is learning how to code and pursuing algorithmic trading systems. He also runs his own graphics and web design company. Building a business around something he is passionate about. When someone is considering to do a podcast, how do they know if it's for them? I have always learned a lot from listening to host a podcast. I’ve always been a fan of podcasts. I just thought that it would be good to have my own. As a means to get access to some people. You’ve got to put them on the pedestal. You want to hear everything about them. And listen to what they say. I definitely get people who have refused to come for interviews. Obviously, it’s got to be beneficial for the sponsors. You want to get the best result possible for them, sponsoring the podcast. It’s not just the money grab. In marketing, if something works you keep doing it. You really want to make a good impression on your sponsor. And have them sponsor your podcast again in the future. If you just launch a podcast, you should make it an absolute top priority. To get writings and reviews, you really go hard on getting those. When you release a podcast, you ask people to leave a review. I always link them to a page on my website. That is something to think about. If you want to tap into US listeners who are obviously a much bigger audience, try to get some people in the US to leave reviews.